Chief of the banned militant outfit Jama'atul Mujahideen Bangladesh (JMB) was killed in a reported gunfight at Tantipukur in Shibganj upazila of Bogura district on Tuesday. 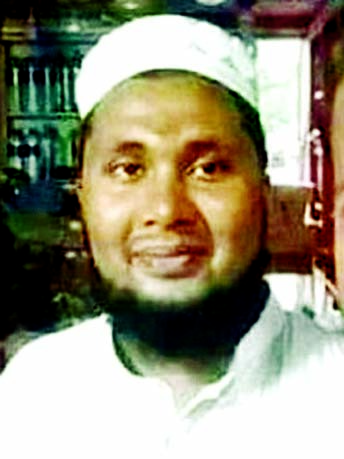 The deceased has been identified as Khorshed alias Master alias Samil, 33, who was the chief of JMB Bangladesh chapter, police said. Bogra Sadar circle's Additional Superintendent of Police (ASP-Media) Sanatan Chakraborty said they raided the Tantipukur area early Tuesday, following a tip-off that a group of militants were gathering there. Upon seeing the police, the criminals opened fire forcing the law enforcers to fire back, triggering a gunfight, the police official said. Police found Khorshed's bullet-riddled body on the spot and rushed him to Shaheed Ziaur Rahman Medical College Hospital, where doctors declared him dead. On his way to the hospital, Khorshed revealed his identity, ASP Sanatan said. Khorshed was the ameer of old terror outfit JMB, and was known as Master Samil in his inner circle, said Chakraborty. The other alleged militants fled the scene, he said. 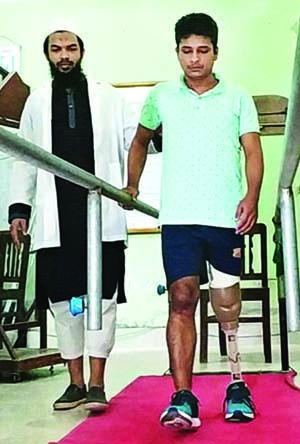 Two police personnel, including Sub-Inspector Ahsan, who were injured during the gun battle, are now undergoing treatment at the Bogura Police Hospital. Two firearms, three rounds of bullet, a machete, and a dagger were recovered from the spot. Two cases-one murder and the other under Arms Act-were filed with Shibganj Police Station on Tuesday morning. Meanwhile, a team of Detective Branch (DB) of Police raided Nishchityiapur village in Meherpur Sadar Upazila around 2:00am yesterday after receiving information that two groups of "drug peddlers" were dealing on drugs there, said Obaidur Rahman, Officer-in-Charge of DB. Later, police recovered the body of Enamul Haq Ena from the spot. Ena is accused in eight cases, including two for murders, the OC said. They also found a shutter gun and 63 bottles of phensidyl from the scene, he said.